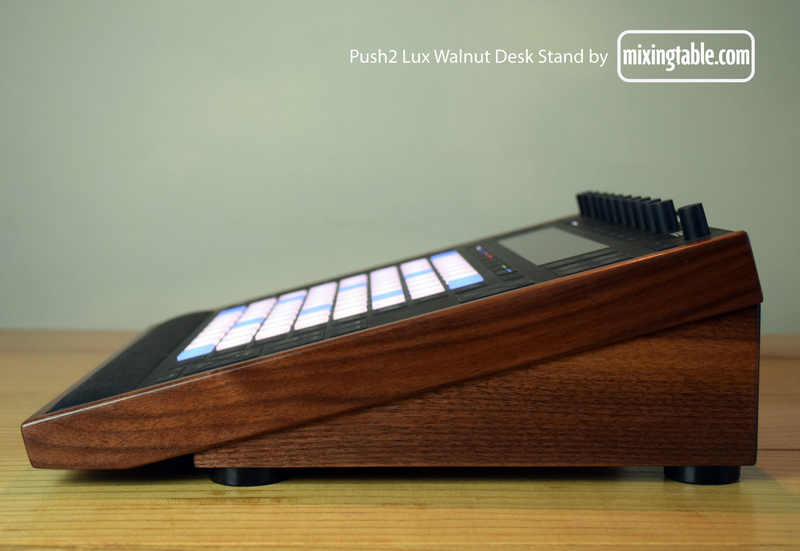 Push2 Lux is a high end desk stand for Ableton’s Push2 controller. 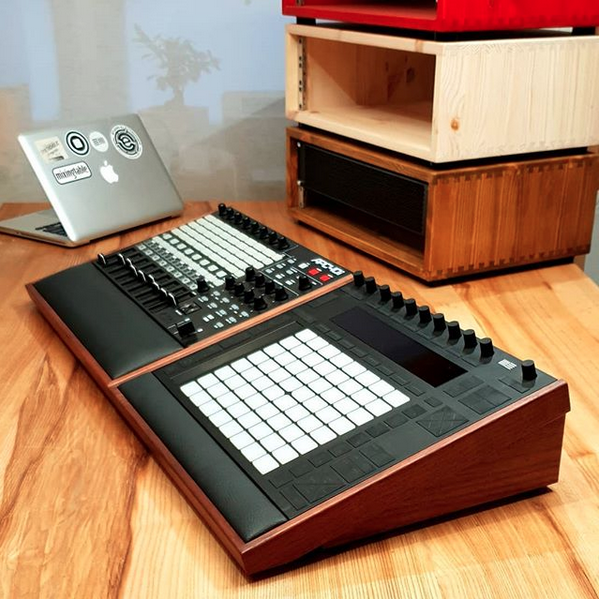 Beautifully crafted from solid hardwood and hand finished in natural oil, with a slant of 15 degrees and featuring a padded wrist rest in black vinyl. 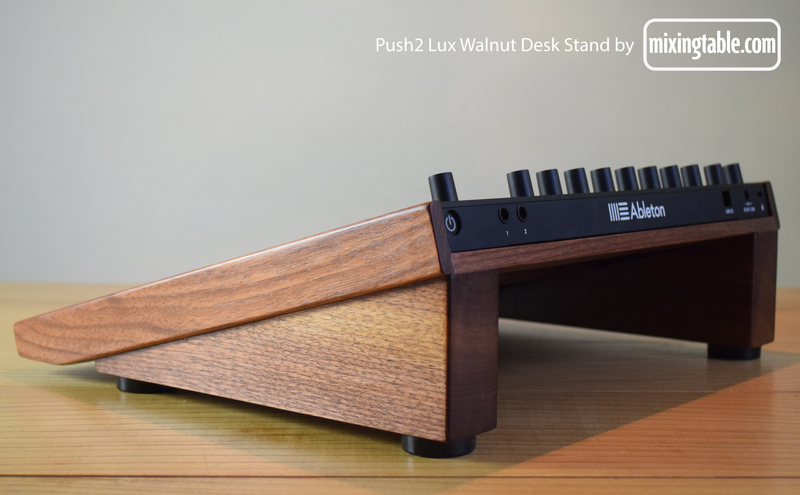 Solid Walnut Push2 Lux Desk Stand with black vinyl wrist rest $274 USD + $29 Economy shipping to the US. 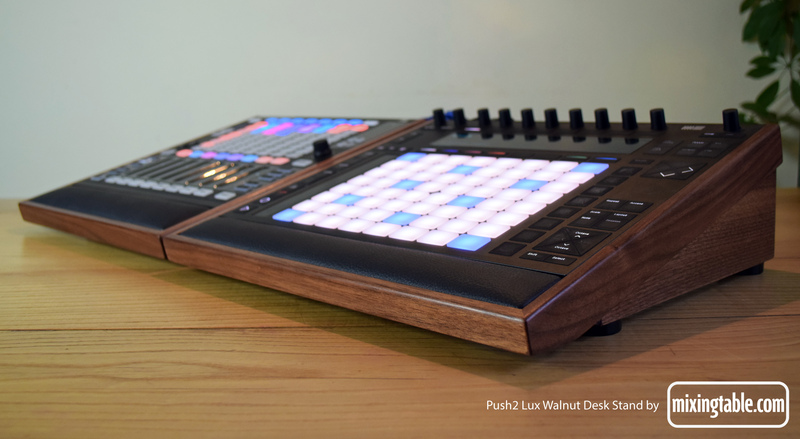 Delivery will be by USPS.